Only ‘square pins’ from tomorrow! The implementation of the new standard for plugs, extension cords and sockets which will come into effect from January 1, 2019. Accordingly, only plugs, extension cords and sockets conforming to the new regulations should be purchased, the Public Utility Commission of Sri Lanka (PUCSL) said. Sena, a bane for rice farmers as well! he Fall Army Worm (FAW) threat has spread to rice plantations as well, reports say. The larvae stage of the Fall Armyworm moth (Spodoptera frugiperda), commonly known in the country as the ‘Sena caterpillar’ has the ability to destroy hundreds of acres of cultivation overnight and could affect over 180 species of crops including paddy, maize, sugarcane, green gram, other vegetables and fruits. There is no evidence to support the claim by Namal Kumara about a VVIP murder conspiracy from the retrieved deleted data of his mobile phone, ‘Anidda’ reports quoting CID sources. According to the sources, the deleted data only includes an audio in which Kumara and former DIG of the TID Nalaka de Silva plotting to kill SP Prasanna Alwis. President Maithripala Sirisena asked SLFP electoral organizers at a meeting at President’s House yesterday (24) to prepare for an year of elections in 2019. After the meeting, general secretary of the party Prof. Rohana Lakshman Piyadasa told the media that they would not announce their presidential candidate in advance. 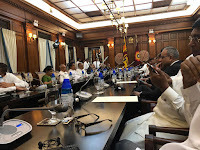 A new Cabinet consisting of a total of 29 ministers were sworn in before President Maithripala Sirisena at the Presidential Secretariat, a short while ago. SriLankan Airlines had incurred a loss of Rs. 539.7 million, in 2017 due to its failure to return a leased A-320 aircraft to the lessor before the deadline, the Presidential Commission of Inquiry (PCoI) on irregularities at SriLankan Airlines, SriLankan Catering and Mihin Lanka was told, yesterday. Asitha Fernando, Technical Services Engineer at SriLankan told the PCoI, referring to documents, that the airline had to return the aircraft on March 15, 2017. The Speaker of Parliament Karu Jayasuriya has recognised UPFA MP Mahinda Rajapaksa as the Leader of the Opposition. Meanwhile UPFA General Secretary Mahinda Amaraweera has been accepted as the new Chief Opposition Whip. This was announced by the Speaker following the commencement of parliamentary proceeding today (18). With the relaxing of laws for the curtailment of wild boar, the number of traps set to kill wild boar had increased and around 16 persons had lost their lives in the Udahewaheta area, after they had stepped on these traps. The police reports stated that these persons had fallen victim when they had got caught up in these traps set for wild boar. Despite the political crisis, tourist arrivals to Sri Lanka rose 16.8 percent in November compared to the same period last year, colombopage.com reports quoting data released by the Sri Lanka Tourism Development Authority (SLTDA). The month recorded 195,582 tourists arriving in the country compared to the 167,511 arrived in November 2017. The police has devised a new unit for complaining if a mobile phone is lost or stolen, said Police Spokesman SP Ruwan Gunasekara issuing a special statement. Accordingly, a new web site has been set up under the directives of the IGP and complaints regarding lost or stolen mobile phones could be made on www.ineed.police.lk , the Police Spokesman said. US Ambassador states America’s stand on Lanka! The US has stated that the crisis within Sri Lanka should be resolved democratically and in a transparent manner. The US Ambassador to Sri Lanka Alaina B. Teplitz said America’s stand on Sri Lanka as a friend is that the country should have a legitimate government. CID arrests 45 Nigerians involved in dollar scam! The CID had revealed information regarding a massive scam which drastically affected the country’s dollar reserves and had arrested 45 Nigerian Nationals connected with this scam, it is reported. Based on complaints and information received by the CID Cyber Crimes Unit, it has been revealed that around Rs. 5 billion had been scammed through computers and sent out of the country. Tourism makes up about 5 percent of the Indian Ocean island’s $87-billion economy, but the president’s sacking of the prime minister late in October triggered a crisis that credit rating agencies say has already hit economic prospects. So far this year, 222 Sri Lankan migrant workers had died due to various reasons while being employed overseas, the Foreign Employment Bureau revealed. Among them, 50 are females, while 145 of them had died due to natural causes. However, 06 females and 25 males had reportedly committed suicide. Mass peafowl deaths in Polpithigama! Residents of the Polpithigama, Moragollagama, Thibbatuwewa paddyfield area say that they have been finding dead peafowls in the area for several days. Noting that the dead peafowls were found in the scrubland adjoining the paddyfields, residents say that their eyes had turned white. There is dissatisfaction over the manner in which objections had been heard to the list of cricket clubs having voting rights at the election of office-bearers for Sri Lanka Cricket, reports say. Therefore, the election could become problematic. Some clubs allege a three-member committee tasked with holding the election have carried out the investigation outside the due procedure. The Ceylon Petroleum Corporation (CPC) will reduce the prices of petrol and diesel by Rs 5 per litre with effect from midnight today (Nov. 30), Minister of Petroleum Resources Development Gamini Lokuge said. He stated that this price reduction will affect all grades of petrol and diesel. This is the third time that fuel prices have been reduced since the new government was established on October 26.
ormer ace cricketer - Roshan Mahanama has said rejected social media reports citing that he will be contesting in the upcoming elections. China says that co-operation with Sri Lanka is ‘equal and mutually beneficial’ and that it is not targeting any third party or setting a “debt trap”. “It is not tenable to claim that China’s loans are causing problems for Sri Lanka,” Zeng Rong, the Spokesman to the Chinese Embassy in the UK said. This was stated in a letter issued in response to an article published on the Financial Times with the title “Sri Lanka turmoil points to China’s increasing role” (November 16) which had claimed that China is “becoming a supplier of political instability” and sets a “debt-trap” for Sri Lanka and other countries. The Ministry of Finance and Economic Affairs has issued a press release refuting the alleged illegal instruction given by the Finance Minister PM Mahinda Rajapaksa to the Sri Lanka Customs to release the foreign currency in US Dollars that had been apprehended while being smuggled out at the BIA. The press release read that the Sri Lanka Customs officials sometime back had apprehended an outbound foreign national at the BIA while he was attempting to take out of the country, USD 53,455 in contravention of the Customs Ordinance. Next year, vehicle prices could increase between 10-15%, notified the Vehicle Importers Association. They said the factors that would cause the increase is the political instability in the country and the depreciation of the rupee against the dollar. 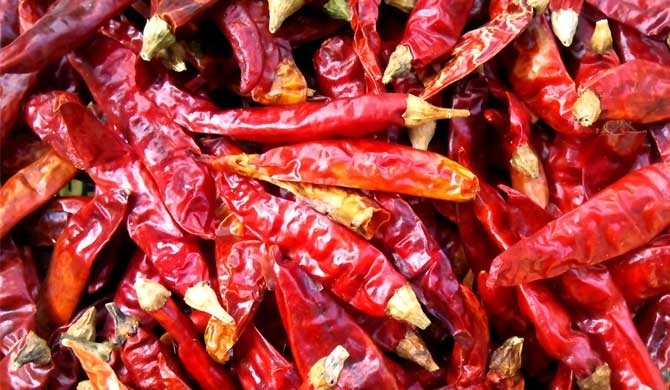 Agriculture Minister Mahinda Amaraweera had instructed the Agriculture Department to carry out tests on dried chilies imported from India to check if it contains the pesticide Monocrotophos and issue a report immediately. He had taken the decision to test the dried chilies imported from India based on reports that it contained harmful pesticides. PickMe antics and passenger woes! There is ample commuter complaints with regard to the lack of passenger safety concerns by the taxi services in the country. No level of monitoring is done with regard to the conduct and discipline of the drivers of these taxis’ either. In another such incident which occurred near the Mahara, Kadawatha Maha Vidyalaya on November 14, Yohan Dalapatadu - a passenger of a taxi had experienced the following. British MP Ian Paisley has been readmitted to the Democratic Unionist Party after he was suspended for failing to declare luxury holidays paid for by the Sri Lankan government. The DUP launched an internal investigation into the MP for North Antrim after The Daily Telegraph revealed Mr Paisley had received hospitality for his family worth tens of thousands of pounds. Mr Paisley was suspended from parliament for 30 sitting days and narrowly avoided being ousted as an MP after a “recall petition” was sent around his constituency. Secretary to the Ministry of Transport and Civil Aviation G.S. Vithanage has been appointed as the new Chairman of the SriLankan Airlines. The appointment was made by the Secretary to the Treasury S.R. Attygalle. Chieftain of Sri Lanka's indeginious Vedda community - Uruwarige Wannila Aththo is to leave for India tomorrow (14) for a Toxicology conference. The annual conference held by the TATA company will be held this year from Nov. 15 - 19 in Jamsetpur. Gold prices in the world market had reduced significantly over the past week after recording its highest price in six years. Although gold prices had increased over the past six weeks, after August there has been a significant reduction. With the American Central Reserve increasing its interest rates continuously and the demand declining, the price of an ounce of gold currently stands at $1218. The United States voiced concern Friday after Sri Lanka’s president ordered snap elections, as lawmakers warned that US aid was in question. President Maithripala Sirisena, who two weeks ago sparked a crisis by sacking the prime minister and installing former leader Mahinda Rajapakse in his place, signed a decree for elections to be held January 5, nearly two years ahead of schedule. The Central Bank of Sri Lanka (CBSL) has been gazetted under the Ministry of Finance once again. This was published in the Extraordinary Gazette (No. 2096/17) issued on November 05. A heavy traffic is reported from Torrington area due to a protest by the United National Party (UNP), stated Ada Derana reporter. UNP has organized a vehicle parade demanding to establish democracy by reconvening the parliament. The rally commenced at 12 noon today (08) from the Galle Face Green. Bus Associations stated that they have agreed to reduce the bus fares by 2 percent from midnight tomorrow (08). However, the minimum charge will not be changed, they further said. This was announced at a press conference held today (07) by Chairman of the Lanka Private Bus Owners’ Association (LPBOA) Gemunu Wijeratne and the Chairmen of the National Transport Commission (NTC). A project to regrow coral reefs has been initiated in the Galle, Unawatuna and Roomassala coastal areas under the expertise of the Moratuwa University students and sponsorship of private institutions. The diving assistance would be provided by the Navy divers. Under the instructions of the Navy Chief of Staff Rear Admiral Piyal de Silva, the project is directed by the Southern Naval Commander Rear Admiral Kapila Samaraweera. Deputy Minister Manusha Nanayakkara has resigned from his ministerial portfolio and pledged support to UNP leader Ranil Wickremesinghe. This was announced by MP Harin Fernando at a press conference held at Temple Trees in Colombo today (6). Manusha Nanayakkara was recently sworn in as the Deputy Minister of Labour and Foreign Employment before President Maithripala Sirisena, under the new government. School uniform voucher system halted! The government has decided to provide material for school uniforms instead of the voucher system introduced by the 'Good Governance' government. The United Nations Secretary General Antonio Guterres had urged President Maithripala Sirisena to reconvene parliament and allow legislators to decide who the rightful Prime Minister is between Ranil Wickremesinghe and Mahinda Rajapaksa. A statement from Antonio Guterres' office on Friday said the secretary-general called on President Sirisena "to revert to parliamentary procedures and allow the parliament to vote as soon as possible" during a phone conversation a day earlier. Private bus owners say that they expect to hold discussions with relevant authorities regarding the reduction of bus fares. According to the General Secretary of All Island Private Bus Operators Association Anjana Priyanjith, a discussion will be held with the National Transport Commission (NTC) on November 07. The National Three-Wheeler Federation has reduced the the fare of the second kilometer by Rs. 5 from yesterday (01). Federation Chairman Sunil Jayawardana said that the decision was propelled by PM Mahinda Rajapaksa saying that he would consider changing the current price formula for fuel pricing in the future. Prime Minister Mahinda Rajapaksa says the President has decided to reconvene the Parliament on November 05. Rajapaksa stated this during a discussion held with university lecturers this morning (01). He stated that the President has decided to cancel the prorogation of Parliament and to convene it on November 5, the scheduled date of the next session. Article 2.1.1 – being party to an effort to fix or contrive or to otherwise influence improperly the result, progress, conduct or other aspect of an International match. Motor vehicles adequate for the next five years had already been imported when an importation restriction was imposed, latest reports by the Department of Motor Vehicles, Central Bank and the Finance Ministry show. According to one of the reports compiled by a team of economists, the annual requirement of motor vehicles is 45,000. A new, low cost petrol type would be introduced only for three-wheelers by next month, Petroleum Minister Arjuna Ranatunga said. Speaking to media at the Ministry yesterday (17), he said that the type of petrol had a lower-octane value and would be Rs. 8 lower than the current standard petrol price. President Maithripala Sirisena has not mentioned any involvement of an Indian intelligence service or the government of India in the alleged plot to assassinate him, the President’s Media Division (PMD) said today. The PMD issued a statement in response to some recent local and international media reports alleging that reference was made to an Indian intelligence service at the Cabinet Meeting held on Tuesday, October 16th. Sanath Jayasuriya, charged with two counts of breaching the ICC Anti-Corruption Code, has been given 14 days from 15 October 2018 to respond. Such a possibility was suggested by finance minister Mangala Samaraweera when he said at a media briefing on October 09 and again on the following day in parliament that world crude prices would not be reduced until February next year. The MeToo movement has taken the social media platforms by storm, with women coming out and disclosing the incidents of sexual harassment they have faced. Now a woman alleges that a Sri Lankan cricketer once harassed her during one of the Indian Premier League (IPL) tournaments. Singer Chinmayi Sripaada uploaded an image of a note written by the woman, which described her ordeal during the incident. Chinmayi further updated that the “said girl will speak on anonymity to a journalist”.